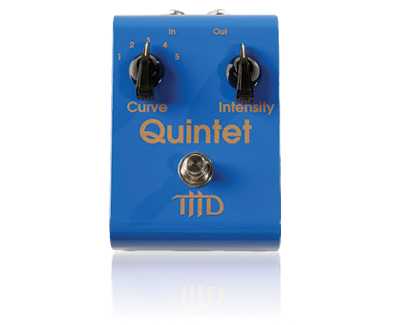 Quintet Tone Curve Pedal. Passive pedal that permits you to select among 5 different frequency response curves to be applied to your existing guitar sound. Only works with passive, magnetic pickups in guitars, steel guitars and basses. Greatly expands your tonal range.